Foo Yan Man Ser occupied the site on the first floor of 1 Pak Tsz Lane with an aim to enlighten the public. Nowadays, Pak Tsz Lane Park displays information and exhibits about Foo Yan Man Ser. Foo Yan Man Ser (Chinese Patriotic Mutual Improvement Association or Furen Literary Society) was founded by Yeung Ku-wan and Tse Tsan-tai and occupied the site on the first floor of 1 Pak Tsz Lane in 1892, with an aim to enlighten the public, but it often held meetings to discuss political issues and reforms in China in private. Dr Sun Yat-sen maintained close contacts with its members, and Yeung and Tse later became the core members of the Hong Kong Headquarters of the Xingzhonghui (Revive China Society), with Yeung serving as its president for a time. 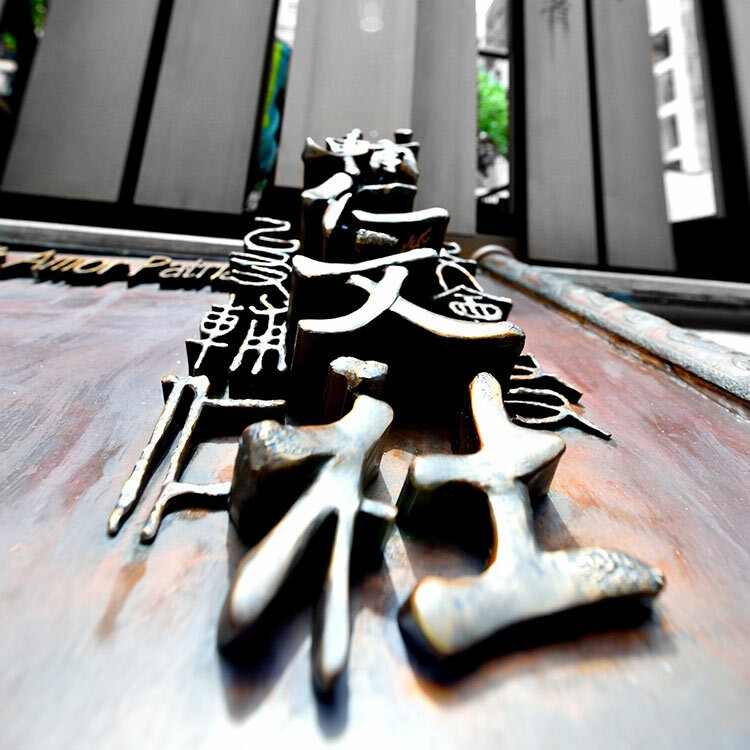 The artwork was inspired by the twelve Chinese characters of the society’s name, Foo Yan Man Ser and the profound meaning that implied in the name. The characters spring out from the scroll, representing the society’s members earnestly putting their words into actions and taking the reform forward.